While Exposure allows users up to three narratives for free, users must pay to add more narratives, and to get other special features. They have two payed plans depending on what your needs are. While I haven't upgraded yet, I really like that after you upgrade, if you cancel your subscription, you still get to keep all your published narratives. That way, I can try it out for a month and write a few more narratives and not have to worry about them disappearing if I cancel. Have you been to Exposure yet? Do you have a profile? Leave a comment below! 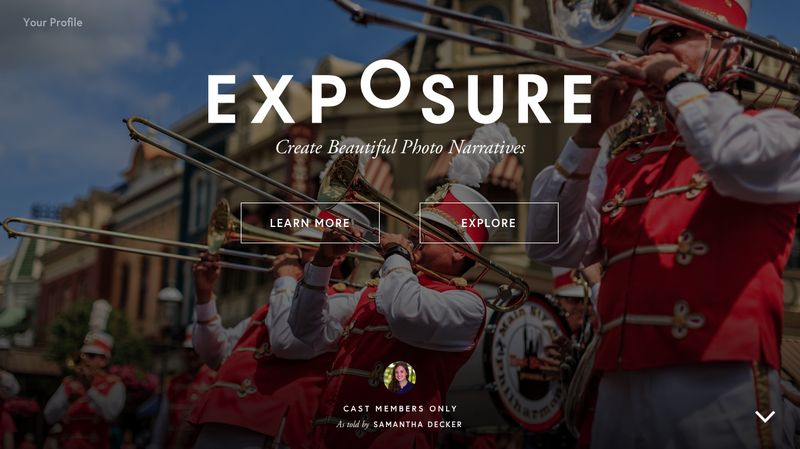 The folks that run Exposure have been kind enough to feature two of my narratives on their front page (see above). If you'd like to read my narratives, head on over to my profile.